We’re so used to hearing about how credit cards pave the road to financial catastrophe that we don’t often think about how they might actually be able to help our finances. When you have a good credit history, a number of opportunities are open to you. A credit history usually leads to better interest rates on loans, which can save you a great deal of money over time. If you have excellent credit, you can save tens of thousands dollars over the course of a mortgage loan. Not only that, but some insurers (especially in the United States) look at credit history as a factor in setting your auto insurance rates. A good credit history can mean lower premiums — and savings over time. Even some employers are looking at your credit report. If you want a better job, you might want to improve your credit history. The fastest way to start building a good credit history is to use your credit cards responsibly, and avoid cancelling them. Your payment history is reported each month, and that can help you build a solid financial reputation that can save you money and open you to better opportunities. You can use your credit card rewards for cash back and other perks. As long as you incorporate your credit card usage into your regular budget, you can build up rewards at a rapid pace. 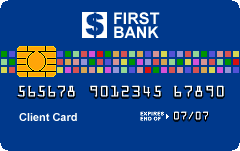 Use your cards for regular purchases, and then pay the balance each month. You can get between $120 and $300 — or more — extra each year, depending on what you spend and your credit card rewards program. Even if you don’t get the cash back, you can still benefit from the rewards. Earn free hotel stays, free flights, and free merchandise and discounts with your credit card rewards. We use airline miles to pay for flights to see my husband’s parents, or to help pay the cost of bringing his brother up for a visit. Consider how you can use rewards to your advantage, and you’ll be surprised at home much money you can save. Just make sure you are good about paying off the balance each month. Otherwise, the interest you pay will offset your cash back and other rewards. In many cases, good finances are more about cash flow than they are about income. While income matters, of course, the way you manage your income can make a big difference in your overall financial picture. Credit cards can actually help you manage your cash flow better, especially if you have a variable income, like I do. Timing can make a big difference in your finances. I normally have to transfer money from PayPal to my checking account after I get paid. If it takes three days for the money to arrive in my account, but my mortgage payment comes out two days later, I’m hit with a fee, especially if I’ve been using my checking account debit card to buy groceries and pay the Internet bill in the meantime. Instead, I pay with a credit card. I buy the groceries with the credit card, and pay the Internet bill (and other bills) with my credit card. That way, there’s plenty of money in the checking account when the mortgage payment comes out and when the automatic transfer is made to my retirement account. At the end of the month, when the credit card payment is due, I’ve amassed enough in my checking account to pay off the balance. Using the credit card to manage my cash flow helps everything move through my personal economy in a smooth manner. And, of course, since the credit card use complements my spending habits, this means more rewards for my family. With a little planning, and some tweaks to the way you do things, it’s possible for you to use your credit cards as tools to help improve your finances. These are the exact reasons why I have used and still use credit cards. Having them early helped me get good credit. Now, I use them for the rewards and to make my budgeting life much easier. Credit cards are just another financial tool, when used wisely there are benefits that help in a time of financial sharp. Maturity and discipline are the keys to making credit work for you and not against you. For a business, a credit card used wisely adds many benefits.